Get a New Thermostat—AND a Hundred Bucks Back! We know, we know. If it sounds too good to be true, it probably is, right? Well, that may usually be the case. We’ve never steered you wrong before, though, and we encourage you to take advantage of this great offer. How often is it that the city pays you? Charlottesville is ready to do just that, and all they ask is that you invest a bit in your home. More specifically, in greening up your home! 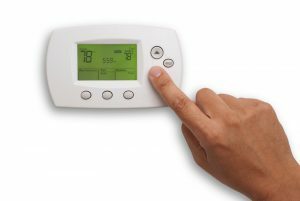 Posted in Tax Credits & Rebates | Comments Off on Get a New Thermostat—AND a Hundred Bucks Back! © 2017–2019 Mack Morris Heating & Air Conditioning. All rights reserved.